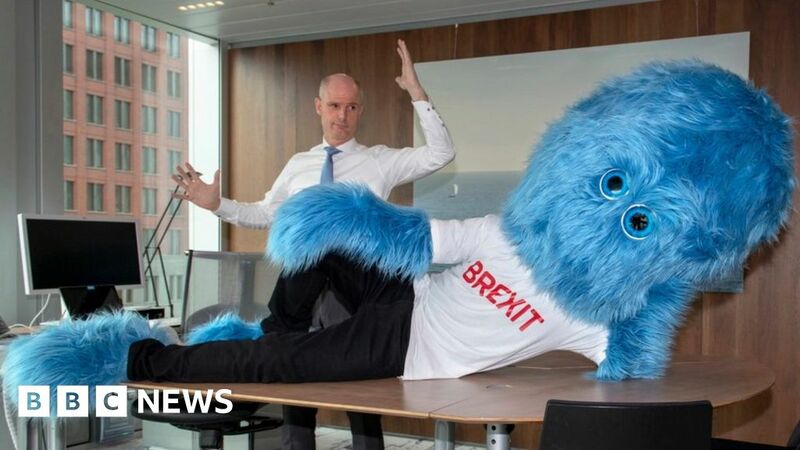 The Dutch government tweets out a furry creature warning to firms about the impact of Brexit. Funny, with a serious message and taking the p*** out of us - all at the same time. Haha, I appreciate the English perspective of 'our' view on this. We'd remove 9% tax from the product price, making it cheaper. However, shipping would become a lot more expensive. Furthermore, you'd have to pay additional import fees upon receiving the parcel, likely in excess of the 9%. Part of the fee would be a fixed 'administration' fee from your customs, so smaller shipments would become less attractive. This is very similar to how it already works for our Norwegian customers. Unfortunately, residents of Ireland could possibly expect a higher shipping cost as well, as we transport through the UK. However, we'll try and figure a solution around that. It's in our planning for next week to evaluate our ingredient sourcing to ensure the price of Queal in general does not need to be increased. Of course, all of this can be avoided if some people just decide to stay a part of the EU! Not sure I understand why shipping would change? When you say 9% do you mean 19%? Shipping would become more expensive because it would take much longer. Border passings with control take up time. More 'paperwork' not only for the government(s), but also the shipping companies. Not to mention the storage fees whilst shipments await their turn to be evaluated to enter the UK. And then the people who drive the trucks etc, who you still pay an hourly fee even though they're standing still waiting at the border. In the Netherlands, food (and some 'base needs' like toilet paper) is taxed 9%. (It used to be 6% but they raised it on January 1st 2019.) Everything else (including shipping costs) is taxed 21%. All prices at Queal.com are including that tax already, so you don't really notice it. And we just took the 3% hit in 2019, we didn't change our prices. Re tax - we have some zero rated items - including food and then I think everything else is fully taxed at 20% here, yours is a bit more progressive I see. Tbh I suspect Article 50 will be extended to give us more time to 'sort our s**t out' as our American cousins would say. But that's only a delay, we'll still have the problems to deal with but a bit later on.